It was during a casual dinner in 2014 that childhood friends Alex Tomic and Nik Mirkovic decided to create a teeth-whitening brand. Little did they know that their brainchild, HiSmile, which they started by pooling savings of 20,000 Australian dollars ($15,000), would make them two of Australia’s youngest self-made multimillionaires and part of the Forbes’ 2018 30 Under 30 rich list—all in a span of less than four years. The duo, who have been friends for the past 10 years, have no background in entrepreneurship but looking at the success of HiSmile, which ships worldwide at-home teeth-whitening kits—its 79.99 Australian dollars (around $58) flagship product that includes a mouth tray, three gel tubes and a LED light—and other products like mouthwash, gels and toothpaste, they seem to be on the right track. “We are both ambitious, competitive and love to push harder, and we are here for the long haul,” says Tomic. The figures show: after the first 18 months, HiSmile reached 10 million Australian dollars ($7.3 million), and after three years, 50 million Australian dollars ($36 million). So what’s their secret sauce for success? HiSmile’s marketing is done completely on social media to attract their target audience, 15 to 35-year-old social media users. They create about 10 unique ads per day and post at least three times on their Instagram page. In the last two years alone, the company has spent about 15 million Australian dollars ($11 million) on ads on Facebook. The brand shares content on Snapchat, Twitter, YouTube, Google Plus and Pinterest as well. HiSmile has close to two million likes on Facebook, 14,000 followers on Twitter, close to a million fans on Instagram, and a YouTube channel with 10,000 subscribers that offers example videos. From the beginning of their journey, the founders well understood the importance of online influencers—social media users with a big following—and employed them to successfully widen the brand’s reach. After raking in millions in sales, they decided to target higher profile personalities like Guamanian singer-songwriter Pia Mia, French fashion guru Adele Grisoni and boxer Conor McGregor. In 2016, they signed Kylie Jenner, an Instagram icon and herself a well-established entrepreneur in the cosmetics market. 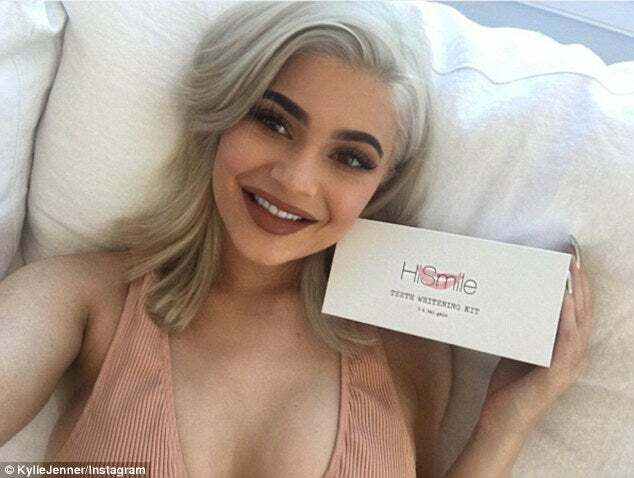 Her Instagram post with HiSmile kit received 1,803,995 likes, and made the brand an instant hit. By the end of 2018, HiSmile hopes to hit 100 million Australian dollars ($77 million). “Celebrity endorsements are great because they get to give their fans/followers a glimpse of their own experience with the product. They get to share tricks and tips and because they are an influential voice, word is likely to travel fast and reach demographics we would not have been able to reach with just traditional advertising,” adds Mirkovic. At the moment, the duo wants to go beyond their global online presence. They want to “take over every bathroom worldwide”.